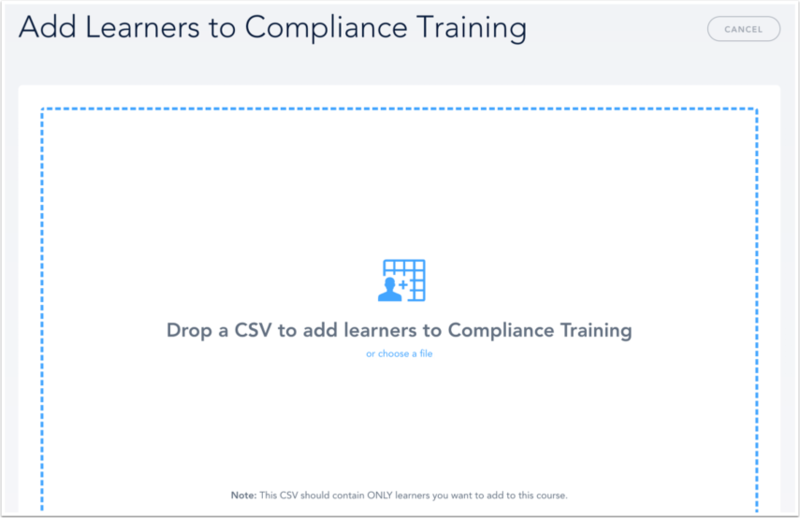 How do I enroll learners in a group or learning content item with a CSV file? 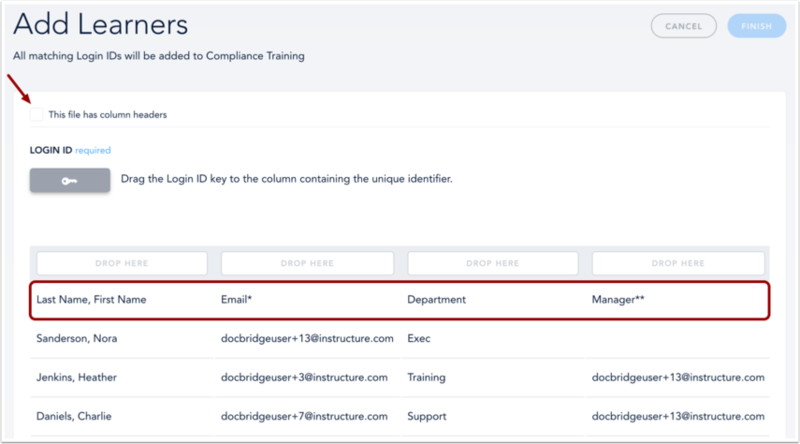 Learners whose unique identifiers (UIDs) already exist in Bridge can be enrolled in specific groups, courses, programs, live trainings, or checkpoints with a CSV file. 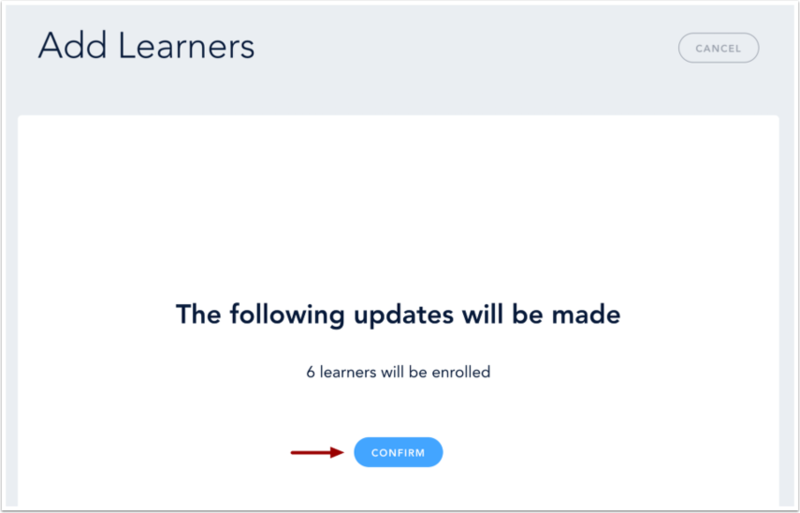 You can only add or update learners in your account on the Users page. In the Global Navigation menu, click the Application Switcher icon . To add users to a group, click the Admin menu option . To add users to a learning content item, click the Author menu option . To add learners to a group via the Admin menu option, click the Users and Permissions link  and click the Manage Groups link . If adding learners to a new group, click the Add New Group button . Click the Manually add or remove learners option . If adding learners to an already-created group, click the name of the group from the group list . Note: You cannot add users via CSV to smart groups, the All Learners group, or auto-generated manager domain groups. In the group page, click the Members tab  to display the CSV enrollment options . 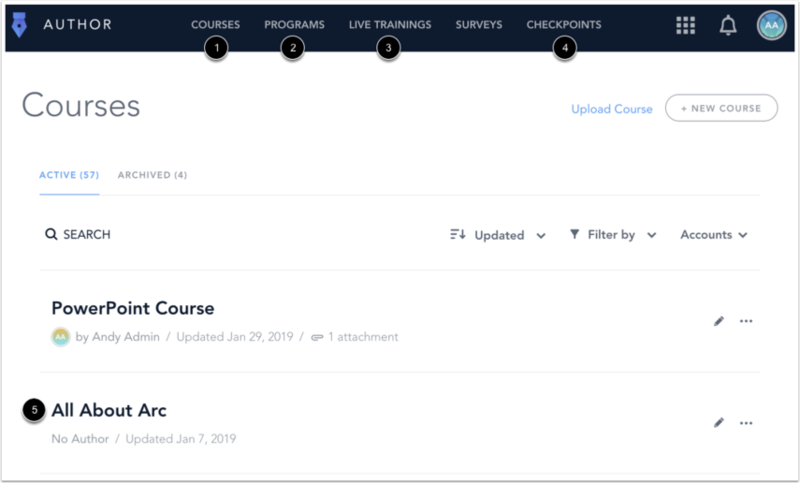 To add learners to a learning content item via the Author menu option, click the Courses , Programs , Live Trainings , or Checkpoints link . Then, click the name of the learning content item you would like to edit . Note: You cannot add learners to surveys via a CSV file. In the learning content item page, click the Learners tab  to display the CSV enrollment options . To add users to a group or learning content item, click the Add via CSV link. Drag and drop the CSV file onto the page. You can also browse and choose a file on your computer. If your CSV file contains column headers, click the This file has column headers checkbox so that Bridge will ignore the first line of your file. 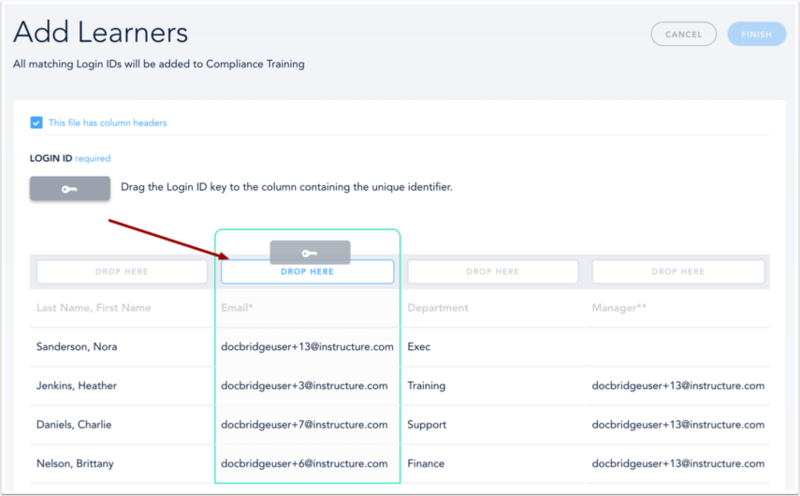 Drag the Login ID key to the column containing the unique identifier (UID), which could be a learner's name, employee ID, or email address. Note: Bridge will ignore learner UIDs that are present in the CSV file but don't already exist in your account. Only learners with a preexisting UID that matches their Login ID will be added. Bridge will display the status of your CSV import and confirm your import. Previous Topic:How do I remove learners with a CSV file? Next Topic:How do I set a password for a learner in my account? Table of Contents > Manage Users > How do I enroll learners in a group or learning content item with a CSV file? Re: How to set a launch time for a training? How do I find a learner to add to a course? How do I find a user to add to a group?